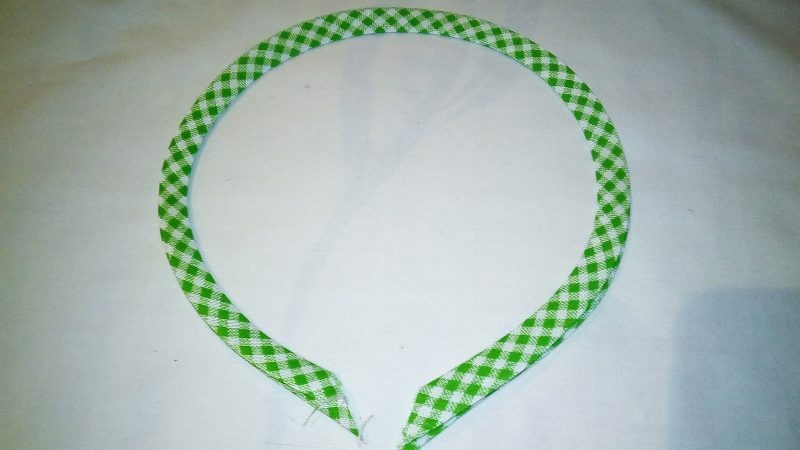 Bias binding can be used to finish off necklines, hemlines and many other sewing projects. 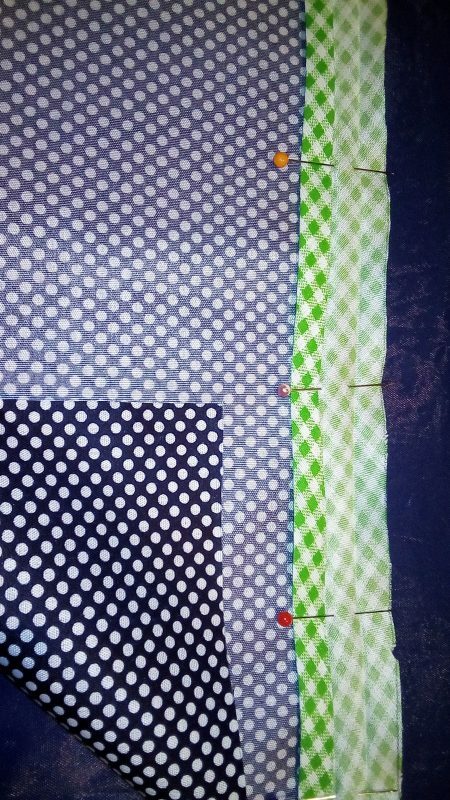 To make bias binding cut your required length of bias strips. 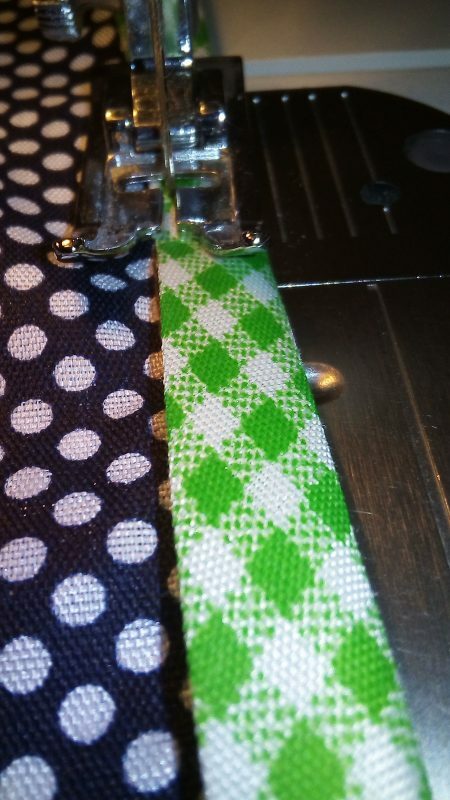 Push the point of the strip through a bias tape maker and push the strip through with a pin. 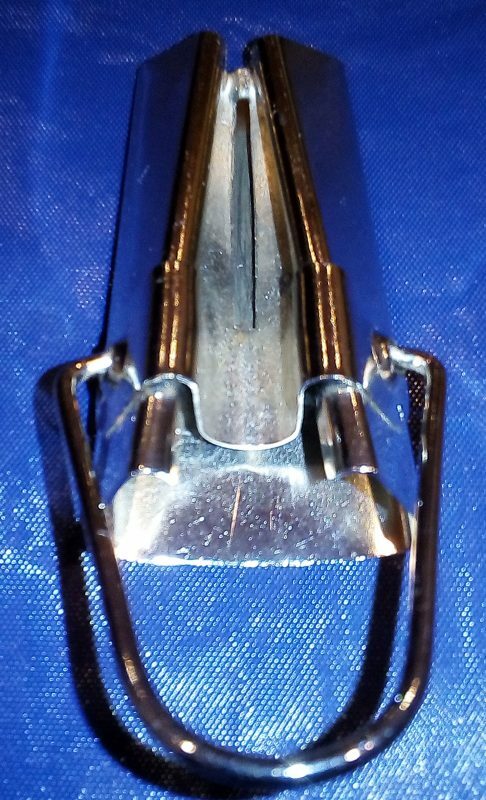 This is my very old bias tape maker. 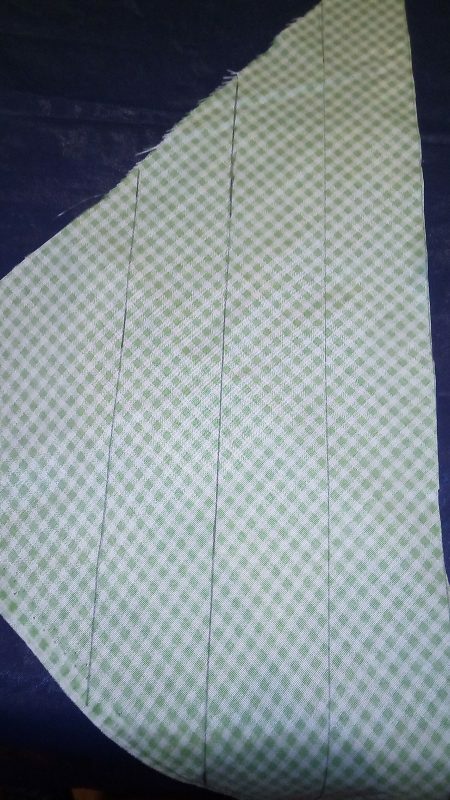 Start ironing the fabric strip while slowly pulling the bias maker to your left side. 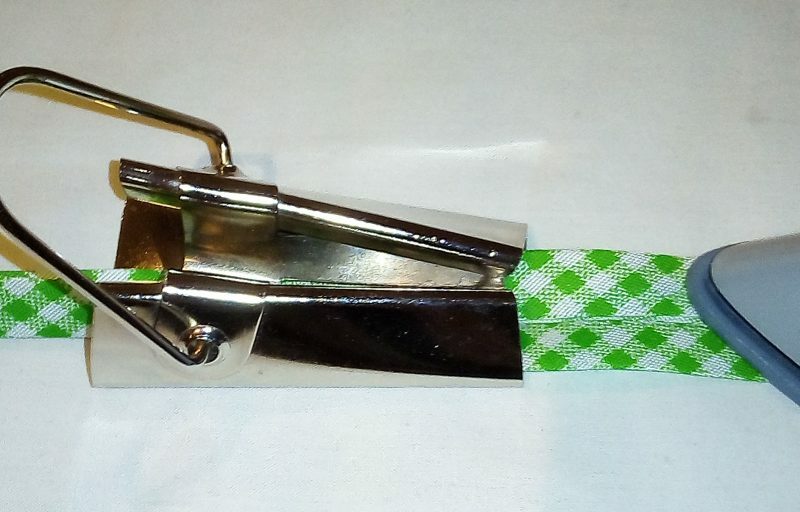 Fold the strip in half and press flat. 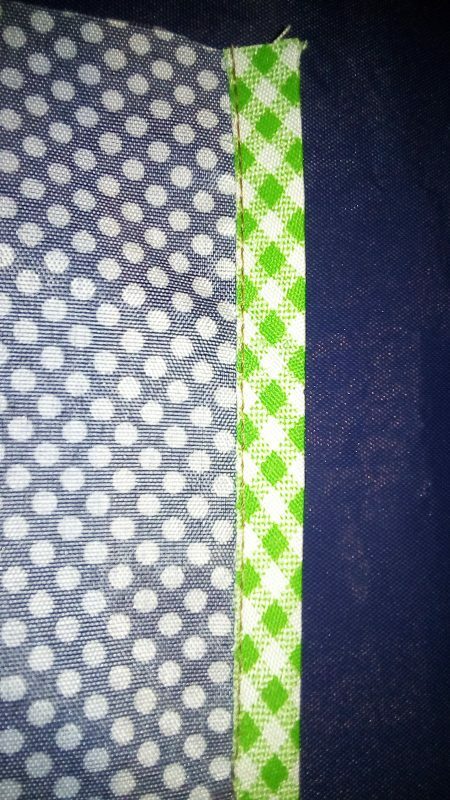 Pin the right side of the strip to the wrong side of the fabric edge. 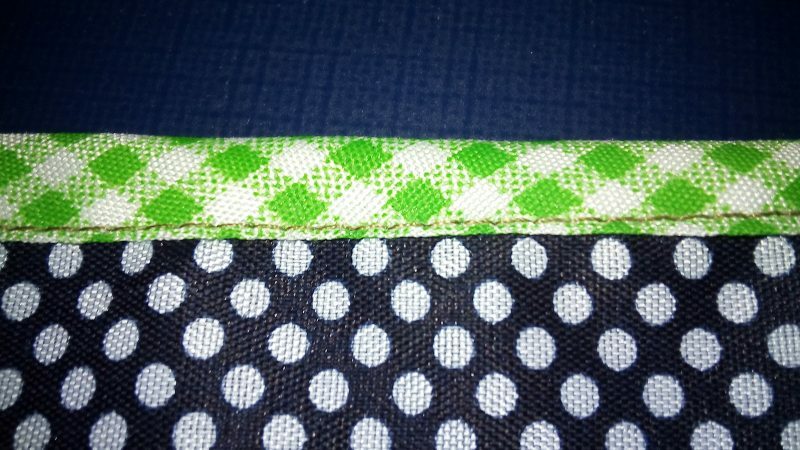 Stitch on the fold of the strip. Fold the remaining side of the binding to the right side of the fabric. 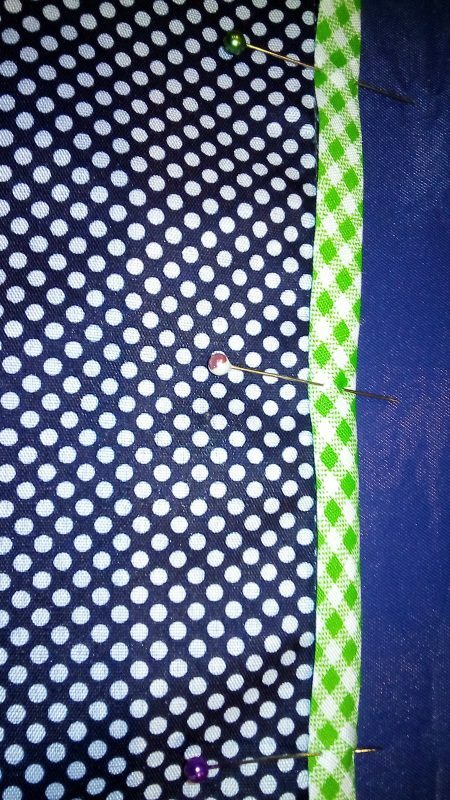 Pin and top stitch. 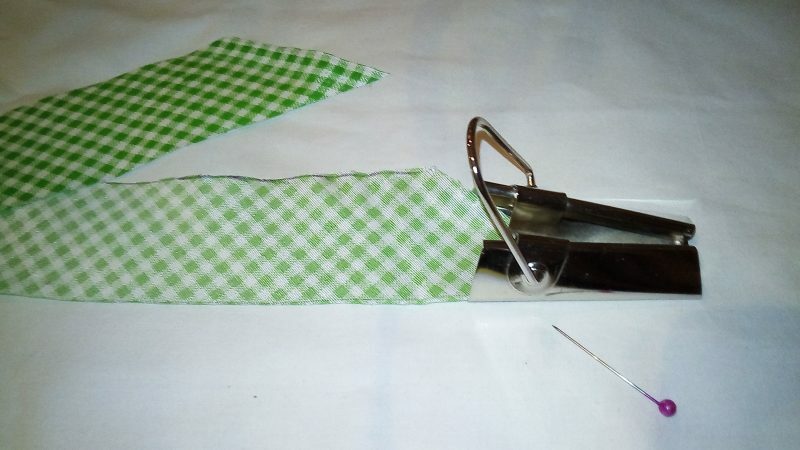 To sew bias binding on curved edges, the binding must first be shaped. 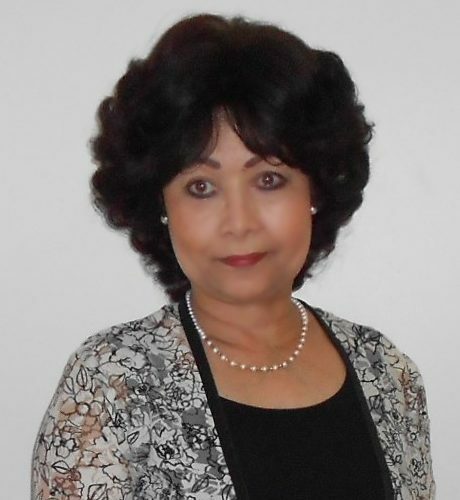 For necklines, stretch the open edge while pressing the binding. 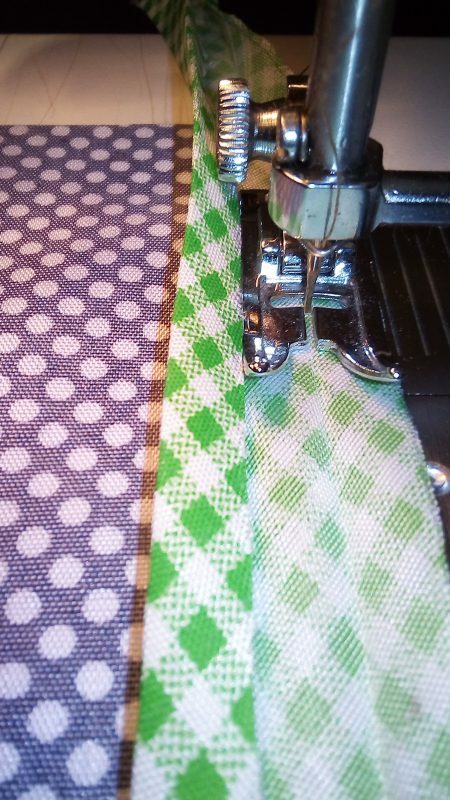 To shape an outward curve, stretch the folded edge of the binding while pressing.